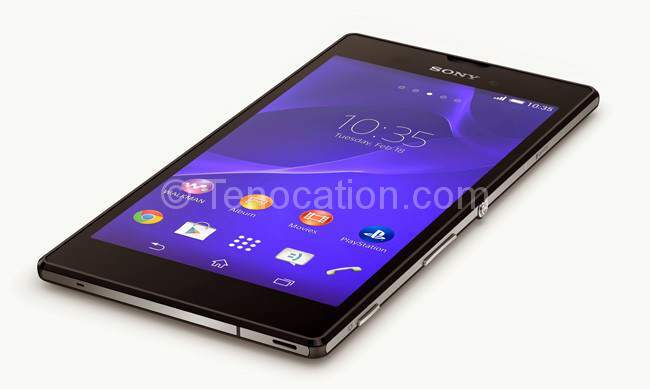 Sony revealed its wraps and launched a new Smartphone with some solid specs in July ‘14. Although the new release looks a small one when compared to Sony’s flagship products; but Xperia T3 holds brilliance in itself. Weighing just 148 gm, Sony Xperia T3 provides its users with a lavish ambience and a sharp view with IPS LCD capacitive touch screen; 16M colors. The 13.5 cm Trilumnious display comes with an option of multiple touches of up to 4 fingers. Within a month, Xperia T3 has become a hit in the market. Sony has always given an elegant experience to its buyers with sleek ‘n’ stainless steel design with three plush colors. Internal Features: Sony Xperia T3 adorns Quad core 1.4 GHz, Cortex-A7 processor with Android 4.4.2v (Kitkat). The Qualcomm MSM8928-2 Snapdragon’s 400chipset amplify the performance without draining the battery much. Wow! That’s a huge bonus, isn’t it? Body: Xperia T3 has a stainless steel body of 150.7 x 77 x 7 mm which weights around 148 gm. This lightweight device is available in white, black and purple color. Data: This Smartphone supports GPRS of up to 107 kbps and Edge of up to 296 kbps. WLAN is accorded with WI-Fi 802.11 a/b/g/n, dual-band, Wi-Fi Direct, DLNA and Wi-Fi hotspot and offers NFC as well. Camera: Xperia T3 offers 8 MP of camera equipped with multiple functions such as Geo-tagging, touch focus, face and smile detection, HDR and panorama with LED flash as well as an auto-focus feature. The 8 MP camera features the Exmor RS for further enhancing the picture quality and a front camera of 1.1 MP as well. Memory: Xperia T3 comes with a built-in 8 GB memory with external memory space of up to 32 GB. With 1 GB RAM, Sony Xperia T3 reckons smooth functioning without any lag. Battery: Non-removable Li-Ion 2500 mAh battery is what you will find inside the handset. The battery surmises 639 hours (2g) 688 hours (3g) standby and 12 hours, 66 minutes talk time in 2g and 14 hours, 47 minutes in 3g. Sony Xperia T3 is a great shot to buy in the market with its powerful processor and Sony’s Excellency in screen features. The camera and sound quality of this Smartphone is up to the mark. Each core of processor goes up and down independently; Xperia T3 possesses an asynchronous processor. This reduces excessive use of battery, as is used in other companions, even when the device is not in use. The processor also makes Xperia T3’s battery life longer without dwindling with phone’s performance. Every Smartphone’s fate is decided with its price and competitors especially in a market like India. Considering Xperia T3’s, 5.3-inch display packed with Sony’s expertise in slimmest attire, it’s a probable a sensation in the market!